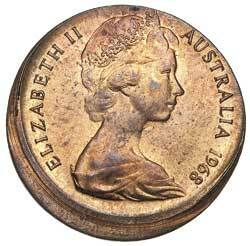 ELIZABETH II, one cent, 1968 struck ten percent off centre. 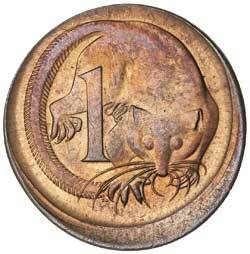 Mint red, nearly uncirculated and rare misstrike of the scarcest circulating one cent. Ex Dr Gordon C.Shortland Collection.